The Moscow cinema which defied Russian officials by showing banned British satire The Death of Stalin has cancelled all further screenings of the film following a raid by police. In a statement released on Facebook, the Pioner cinema said that it had been forced to halt the screenings for “reasons beyond its control”. “We ask that you direct all further questions to the Russian Ministry of Culture”, it said. The post was accompanied with an image which simply read, “free speech — conditions apply”. 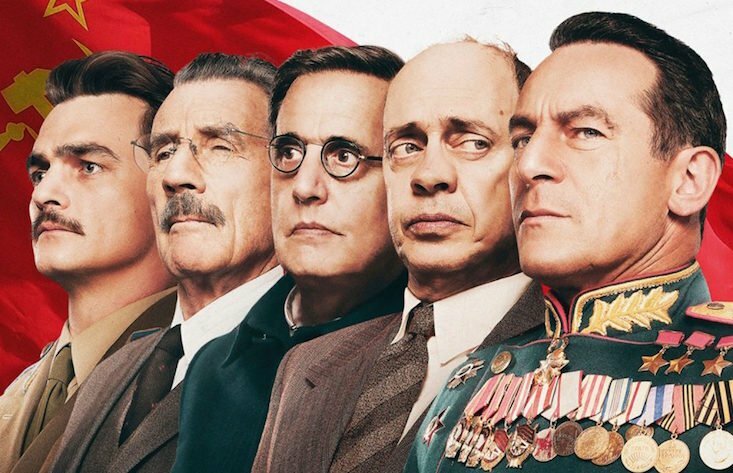 Russian police descended on a Moscow cinema on Friday after managers defied a government ban against showing British comedy The Death of Stalin. Six uniformed police officers and a number of plain clothes officials descended on the cinema during a screening on Friday afternoon. Officers were seen taking photographs and questioning staff, but only confirmed that they were “carrying out an investigation”. The Pioner cinema began screening Armando Iannucci’s historic satire on Thursday, despite a decision from Russia's Ministry of Culture to cancel the film's distribution licence. The theatre had planned to hold two screenings of the film every day until 30 January. The ban followed a special screening for officials on Monday night, where Yury Polyakov, the head of the ministry’s public council, condemned the movie as “ideological warfare”. The film has since been referred the Russian prosecutor’s office, where it will be checked for signs of “extremism”.